For many people who visit a motor show, the highlights won’t be the mundane, every day cars but the high performance exotica. After all, there are very few places where you’ll find such a gathering of impressive machines. Which are the best speed machines at Geneva this year? This car might look familiar – another version once spat Top Gear’s Stig off the test track – so Swedish manufacturer Koenigsegg popped a huge wing on to improve downforce. It’s apparently improved a lot more than the spoiler for the new One:1 – which is claimed to be the fastest road legal car available, with a top speed of more than 270mph. The name is related to the cars power-to-weight ratio of 1PS per kilogram. Peak power from the 5.0-litre, twin-turbo V8 is 1360PS and weight is 1360kg. For perspective, a Volkswagen Golf GTI weighs the same, but has 220PS. 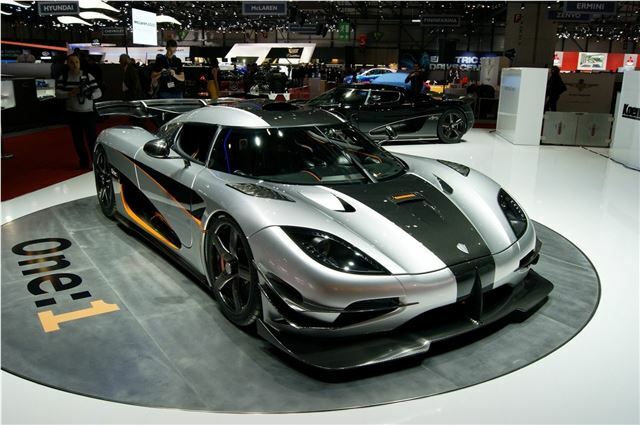 It is yet to attempt the speed record, but Koenigsegg expects it will manage 273mph.